The Raxxess ERK Rear Door ERK-20-MR (Maple) is a great way to add functionality and ease of use to your ERK Series audio rack. This laminate door, made from high-grade, fused, 3/4" melamine, helps protect your equipment from dust and other potential damage. It also locks shut for added security. This door is designed for use with an ERK 20U rack. Protects your equipment from dust and other potential damage. Door locks shut for additional security. 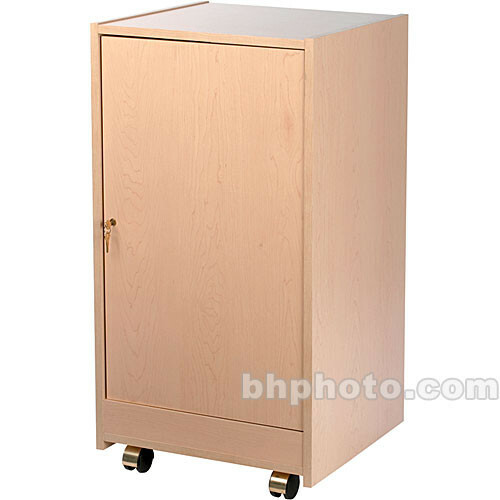 Box Dimensions (LxWxH) 36.0 x 23.0 x 5.0"
Rear Door Lock (Maple) is rated 3.0 out of 5 by 1. Rated 3 out of 5 by Jake from Scrapes the side If you are not going to be opening and closing this a lot then it is a nice way to hide the wires behind your rack, but the hinges are cheap and the door scrapes the side of the rack when you open and close it. The locking mechanism is fine, but I wouldn't expect it to keep anyone out if they were determined to get in.